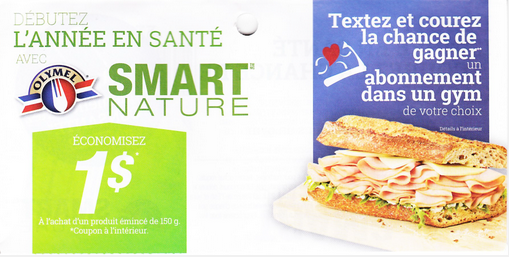 Olymel has a new line of delicious, healthy shaved meats called “Smart Nature”. It’s Olymel’s first deli meat brand that offers fiber-enriched products. This new brand offers an excellent source of protein, source of fiber (2 g per portion) and it 25% less sodium than their regular product. Did I mention that the meats are low in fat? For more information about Olymels new deli meat brand visit Olymel’s Smart Nature Web Site. 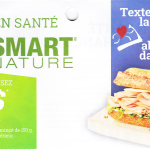 To celebrate the new Smart Nature brand, how about participating in a healthy contest? 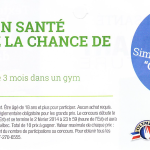 Text in to Olymel’s contest for a chance to win a Gym Membership to the gym of your choice! In order to enter you must be a Quebec resident. All you need to do is text OSNSANTE to short code 77223 to enter. You can also save $1 off any sliced Olymel product of 150g. Just pick up your coupon at your nearest IGA super market. Contest info: SMS contest ends February.2nd, 2014. The draw will happen on February 3rd, 2014. Contest is for Quebec residents only. Must be 18 years and older to participate. No purchase required. A response to a mathematical question is required for the grand prize, The contest start and end date are Dec.30th, 2013 and finishes Feb.2nd, 2014 at 11:59pm. Total of 10 prizes to win. Each prizes max value is $225. The chance of winning depends on the number of participants.. For more detail please call 1-877-270-6565. For SMS: Standard rates may apply. This is only a one time opt-in basis, you will not receive any more messages. For more info text HELP/INFO/AIDE to 77223. To opt out text STOP/ARRET to 77223.